Multicultural advertising, is it still relevant in this online media age? Every once in a while in life we experience unexpected pleasures. Late one Saturday night I was at home watching TV when I decided to change the channel and stumbled across a vintage edition of Soul Train circa 1981. What I saw brought a smile to my face, gave me pure exhilaration and triggered memories of being a kid on Saturday mornings watching this great show. For those of us in the know, Soul Train was the one show on TV where African Americans could see themselves in all their creative brilliance and glory: Al Green, with a perm, the underrated Atlanta funkers, Brick funking it up on the Soul train stage and a pre-Shalimar Jody Watley getting down with Jeffrey Daniel on the Soul Train line. It was also evident that it was a show brought to you by UltraSheen (a Johnson Company product), Coca-Cola and McDonald’s. 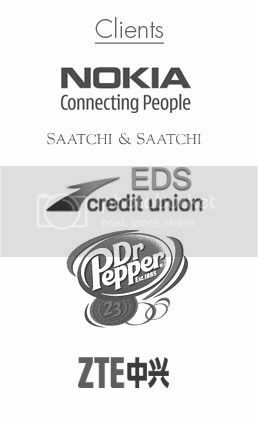 I call these three companies the pioneer triumvirate of corporations that targeted African Americans. Soul Train, in a way marshaled in a new era of programs that provided advertisers an avenue to target young influential African Americans. With the advent of Soul Train was the birth of Black ad agencies that developed targeted ads that resonated with this constituency. Fast forward to the spring of 2007 and the question becomes is the era of the traditional ethnic targeted ad agency over? The answer is yes and no. The reality is that we are experiencing a remarkable time of fundamental shift in the advertising industry with advertisers shifting resources from broadcast to online. The reasons for this are simple, those who are in the so called millennials group, especially those in the most prized demographic of 18-34 are spending increasingly more time on the internet. Furthermore, America is experiencing a demographic shift where Latinos are the largest minority group, and non-whites have a faster growth rate than whites. In the meantime, African Americans have gone from the most influential and coveted ethnic group for advertisers to being less important than the Hispanic consumer group. 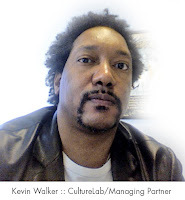 It could be said that this is a golden era for Hispanic agencies much like the 80’s were for Black agencies. So there is still a need for agencies who truly understand and can connect effectively with those in the multicultural groups. So the country is more diverse than ever, the omniscient power of the major networks like ABC, NBC and CBS are being usurped by young people spending more of their free time on line, and Hispanics have become the coveted minority consumer group. So what does this mean for those agencies built for the era where broadcast tv reached the masses of those in the 18-34 age group and for African American and Hispanic agencies used to steering advertisers to the traditional broadcast avenues of radio and tv? It means that the relevance of these agencies is being jeopardized. To survive they are going to have to understand the new media landscape with all of its nuances, proliferation of media options and cross cultural blending of young adult consumers. My Space is just as popular with young Hispanics and African Americans as those in the general market. So when it comes to advertisers who want to target multicultural young adults, My Space and YouTube should be top of mind, not necessarily Univision.com or BET.com. Additionally, there are not many ethnic targeted program options online that have a lot of mass appeal amongst these groups. Instead what you have is extreme fragmentation by interest. 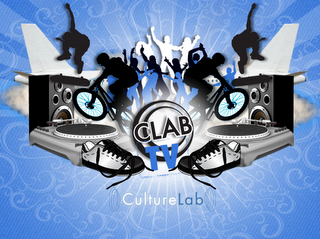 There are websites where urban Hispanics lurk like www.mrcartoon.com, or a website for “Afro Punks” www.afro-punk.com, Blacks who are into punk rock, and there are Black gossip blogsites like Young Black and Fabulous, www.ybf.blogspot.com that is growing its number of hits daily. So in a world of blogsites, My Space, Facebook, and YouTube how do you target ethnically? For the younger demos it is no longer just a matter of buying TV ads on Mun2, MTV or BET. The new media landscape is now extremely complex, but effective multicultural targeting can still be done. In our point of view, effective targeting is now about understanding “tribes of interests”. At CultureLab, we are all about tracking and researching these emerging tribes and the proliferation of websites and brands that target them. In closing, I would like to pose the question, who will be the pioneering advertisers who successfully connect with multicultural young adults online? Will it be the advertisers like Apple who make no effort whatsoever to target by ethnicity or will it be advertisers like McDonalds who have a long and impressive record of targeting different multicultural groups? The answer remains to be seen but I would argue that the winners are those who truly understand the dynamics of developing tribes of interests, cultural blending, class stratification, and the cultural nuances of each ethnic group. Also, the winners will be those brands like Apple that have strong attributes that register with young adults across cultural groups. It is safe to say that amongst the younger multicultural groups it is almost taboo to target them by race, this means a more insightful and universal approach will need to be delivered by advertisers who want to target them. In May the CultureLab agency conducted a series of focus groups with college students in the DFW area to gauge their media consumption habits, attitudes toward race, politics and technological aspects of their lifestyle. The age of participants ranged from 21-23. Click the image above to view a video of highlights from the focus groups. Big thanks goes to Kristina, Desmond, Arthur and Anietie for helping us out with this project.